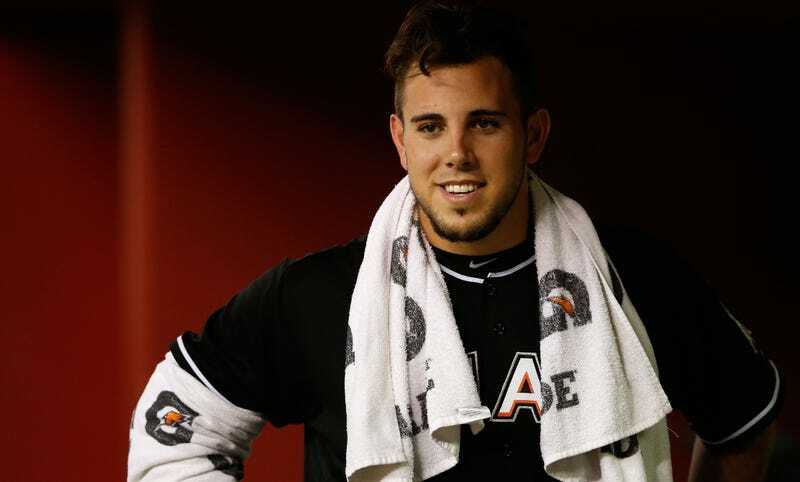 José Fernández was the operator of the boat that crashed into a jetty in the early hours of September 25, 2016, killing him and two friends, Eduardo Rivero and Emilio Macias instantly, according to the investigation report released this morning by the Florida Fish and Wildlife Conservation Commission. The full report is embedded below. The investigation determined that the SeaVee center console boat was traveling at 65.7 mph at the time of the crash. SeaVee’s website lists the top speed for their V-hull line of center console boats to be between roughly 65 mph and 70 mph, indicating that Fernandez was driving at maximum speed when the boat collided with the jetty. Last October, the toxicology report for Fernández, Rivero, and Macias was released. The report determined that Fernández had a blood alcohol content of .147 at the time of the crash—nearly twice the legal limit—along with evidence of cocaine in his system. Macias’s BAC was .04, and Rivero’s was .06. Rivero was also determined to have cocaine in his system. The investigation concluded Fernández was the operator of his boat, Kaught Looking, based on DNA on the steering wheel and clutch, along with the pattern of injuries he sustained in the crash. “There was no evidence found to indicate either Emilio Macias or Eduardo Rivero were possible operators of the V-1,” the report states. An investigator said he was “unable to confirm [Fernández’s] identity through his drivers license photo due to face trauma, but located a Major League Baseball identification card inside his wallet.” The investigator googled photos of Jose Fernández’s tattoos, and was able to identify him that way. Before the crash, Fernández, Rivero, and Macias were at a bar called American Social in Miami, where Fernández bought “two bottles of ‘Don Julio’ tequilla, and three other drinks: one well gin, one well vodka, and one up- ‘Kettle One’ vodka.” The trio left the bar at around 2:40 am on Ferandez’s boat. Rivero received a series of text messages from Maria Arias, Fernandez’s girlfriend, before the crash. He described Fernández as controlling and a ‘hot head’ but very persuasive and exuberant; he gave an example of Fernández being able to convince someone to do something even if they had never done so before, just so they could be close to him or be his friend. Attorney Fernandez then told me that he in fact knew Fernández had not been driving at the time of the accident because he was aware of someone who was on the phone with him at the time of the crash. He said that this person heard Fernández giving someone directions when suddenly he heard the crash occur and the phone went dead. The call attorney Fernandez described was allegedly between Fernández and club promoter Yuri Perez, who said José Fernández had called him to request a table at his club while he and his friends were on the boat. Investigators determined by looking at Perez’s phone records that he was on the phone with Fernández after they left American Social, but was the phone call was before the accident. Data obtained from the boat’s GPS for the time of the crash did not match Perez and attorney Fernandez’s claim. The families of Rivero and Macias filed lawsuits against Fernández’s estate last month, claiming negligence and personal injury on the part of Fernández. They are each seeking $2 million. The investigation report made public today that determined Fernández was driving during the accident bolsters their claim; the parties are reportedly open to a settlement instead of a protracted legal battle. The FWC extended their sympathies to the loved ones of the deceased, and said this will be the final report issued on the accident.